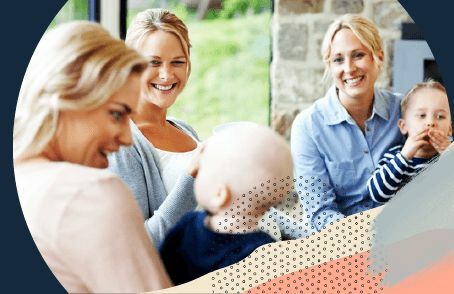 In this best Baby Skin Care comparison, you can find out what the Tell Me Baby community thinks are the top Baby Skin Care products on the market. 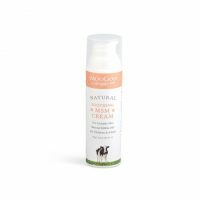 MooGoo MooGoo Soothing MSM Cream $17.95 4.8 16 "I’ve been using this product for myself and I love it. I get very dry and cracked hands because I’m forever washing them with having a new baby and being winter. I put some of this Moisturiser on after every hand wash and it’s restored the moisture and they are no longer cracked. It’s a thick cream so it stays on for quite a while and even after washing hands." 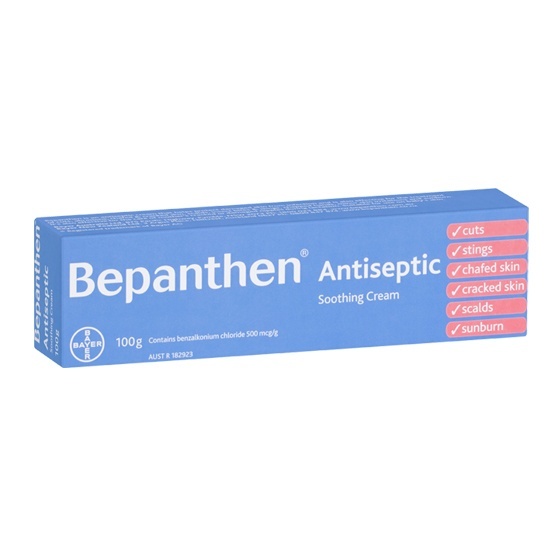 Bepanthen Bepanthen Antiseptic Cream $9.95 4.7 31 "This is the best nappy cream I have tried. My little one often gets very red with a little bit of a rash, as soon as I put this cream on it goes away within a day. It isn't expensive either! Rather then just being a barrier cream, if actually heals rashes to by absorbing more into the skin. Excellent product!" 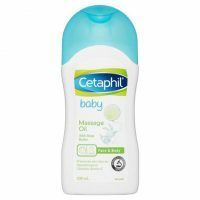 Cetaphil Cetaphil Baby Massage Oil $7.95 4.7 22 "This range was recommended to us by a nurse. For an oil, is not greasy at all. Very gentle and light. Only need a small amount so lasts a long time. Can find almost anywhere so an easy go to - supermarket, chemist, pharmacy. We generally use after a bath and night. I find it keeps baby nice and warm too." 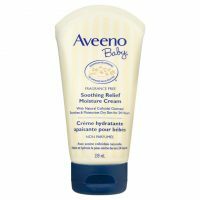 Aveeno Aveeno Baby Soothing Relief Moisture Cream $11.69 4.7 20 "My son had quiet dry skin when he was young, thought it could of been excemavut has cleared up now. We used this each night after his bath and absorbed really well. Cream is pretty think but good. Great fliptop as we all know you learn quiet quickly to do things one handed. Tube goes pretty far too. Worth it!" 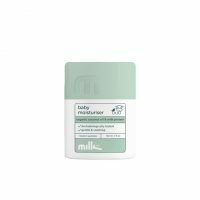 Milk & Co Milk & Co Baby Moisturiser $12.95 4.7 13 "Milk and co baby moisturiser is great for the whole family! My hands get so dry from constant sanitising and this fixes it up like nothing else. On bubs its gentle yet strong and get for nappy changes and massages where he is left super soft and smells so delightful. A great price as well so can’t go wrong"
GAIA GAIA Natural Baby Starter Kit $22.95 4.7 19 "I think these products are great! Perfect idea to put in a baby shower hamper, great for travel too. The bottles are a little annoying as you can’t really squeeze them so to get the last of the product out, I found I needed to add a little water before pouring into the bath. Very gentle one the skin and good little package for first time moms to try out." 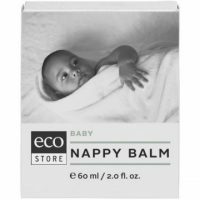 Ecostore Ecostore Baby Nappy Balm $9.95 4.7 13 "I used Ecostore baby nappy balm on my newborn with confidence knowing it contained no nasty chemicals. It's gentle on baby's skin and an effective barrier cream to prevent nappy rash. A little goes a long way with this product and it isn't too oily on skin. One minor thing is it's packaged in a glass tub, and I much prefer tubes as they're more hygienic." Is prone to getting rashes. The pharmacist recommended I keep some of this handy and use it daily as a preventative measure. I use it when I think of it so not every day but my sons skin is doing really well. I love it." GAIA GAIA Natural Baby Massage Oil $11.50 4.6 30 "I love, love, love this massage oil. We use this as part of our bedtime bath routine and my son loves it when I give him a massage. It makes him so relaxed. The oil has a lovely smell and I haven't found that it stains his clothes at all. I will definitely continue to use this product." Ego QV Ego QV Baby Moisturising Cream $13.20 4.6 45 "We use Q.V. moisturing cream for everything in my house. Not only is it amazing on my baby’s skin but I even use it as hand cream. It’s not oily, it’s perfect thickness and didn’t cause redness or rashes. It has no smell and once on seems to last hours both on me and bubs!" It’s important to take care of your baby’s soft and delicate skin. Baby’s skin is more sensitive than adult skin because it’s a lot thinner, especially newborns and premature babies. So it’s important to be really careful about taking care of your baby’s precious skin. So when introducing new products, even products marketed as being for babies, or for sensitive skin, it’s a good idea to do a small test patch on your baby’s skin before completely covering your baby in that product. Just in case they have some kind of reaction to that product. Keeping baby squeaky clean gets harder as they get older and more mobile. Baby’s and toddlers have a knack for getting themselves extremely dirty in a very short amount of time! Though even newborns can be difficult to keep clean between poo-splosions and constant vomiting! It’s a personal choice whether you want to use baby soap or if you just want to rinse your baby off with plain water. If you decide to use baby wash or baby soap there is a huge variety to choose from. While many babies don’t really have much in the way of hair to care for some baby’s have luscious little locks and may need a bit of baby shampoo to help keep baby’s hair clean. Though you may not need to specifically baby shampoo, as many baby washes and soaps can also be used on baby’s hair as well. Or you may just want to rinse baby’s hair off with water. Otherwise, you may want to buy your baby a super soft baby brush for gently detangling their hair, as their scalp may be too fragile and sensitive for a regular adult brush. Baby’s skin is more prone to drying than adult skin, so they may benefit from regularly moisturising their skin. Also applying baby lotion, baby oil or moisturisers to your baby’s skin can be a soothing and comforting experience for baby and yourself. Baby massage can be great for your baby’s sleep routine, as well as their skin care routine. Rashes can be a sign of illness, allergies or irritation to products or substances your baby has come into contact with. So if you’re ever concerned about rashes on your baby’s skin then it’s a good idea to contact a healthcare professional immediately. Also, eczema is a skin condition that should be diagnosed and treated under the guidance of your baby’s doctor. However most baby’s will get nappy rash or irritated skin from time to time, and there are some great products that can help soothe and relieve your baby’s skin. These products include moisturisers, nappy creams and other specially formulated lotions and creams.